Japanese fairy tales were very often lessons meant to teach people about the spirit world, the world of kami and yokai which they believed existed all around them. Often it was presumed that their survival depended on understanding these stories. Further, as with nearly all people's they often believed these stories to be a true accounting of people's relationship with the spirit world. Consider, for example, the tale of "The Bear Guardian" in which an entire village benefits because a lumberjack was kind to a bear. A bear whose spirit later became a kami, a tutelary deity which protected the people from harm. There are also stories of cows whose spirits are enshrined and so cure skin disorders, of dogs who bring luck to their families, of cats, and more. Consider also the fairy tale of the "Cat Guardian" in which a magical cat is sent by the kami (deities) to protect a young girl from evil spirits. It's important to keep in mind that most tales about cats seem to have been much more negative. In the story of the "Vampire Cat" for example, the cat is portrayed as being very much like a classical vampire. It drains people's blood, it hypnotizes people, etc. There are many, many tales of similarly dangerous cats seeking to kill people. There are thousands of tales relevant to the nature of animals, however, and humanities relationship with them, but in the interest of time I'll just give you a few more. A samurai battles two hunters in order to save a fox who later becomes his wife. This story, of someone willing to fight to protect an animal, or buy an animal from hunters is perhaps one of the most common in Japan. In one case a young boy fights some bullies who are bothering a sea turtle, in another someone offers to buy a fox from a hunter who is chasing it. A prince encounters an animal spirit disguised as a girl and kills it. A classic tale about a man who thinks he can't outsmart a mischievous fox and is proven wrong. This story is of interest because it shows the massive extent of the foxes illusion powers, their ability to hypnotize people into thinking entire worlds exist which don't. There are similar tales about foxes who make people think they live in a castle for years, when in fact they only spend a few days under a shed. Of foxes who lead people into castles that aren't there and more. Cursed to forever haunt humanity a Snow Women freezes one woodsmen to death but falls in love with the other. This is a sad fairy tale but it's also very telling about the secret lives of Snow women who see to be someone's prisoner in it, though whose isn't clear. Sort of a Robin Hood like tale in which a young prince becomes a bandit in order to get revenge on the man who killed his father. A tale with magic and war and most important of all, tragedy. Japanese fairy tales are filled with beautiful tragedies. When drought strikes an old man and his granddaughter seek help from the kami on the mountain. An oni uses magic to disguise itself as a woman in order to seduce a samurai. Read even more "Japanese Fairy Tales"
Thanks for the story of Yukki-Onna, the Snow Woman. 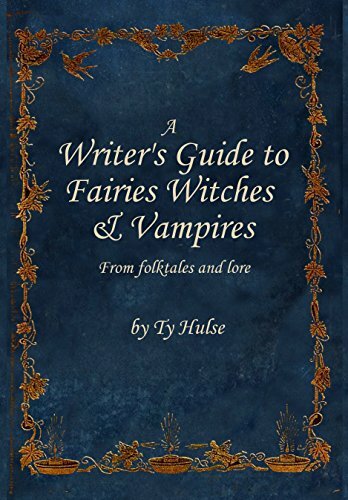 I'm a writer and am doing a story for a collection of "winter fairy tales." I had thought of the Snow Woman and appreciate your version of her story. Thanks for posting and for posting the other Japanese fairy tales.